Jurassic Park quotes, a 1993 film. I don't care for lawyers, do you? See, here I am now by myself, talking to myself. 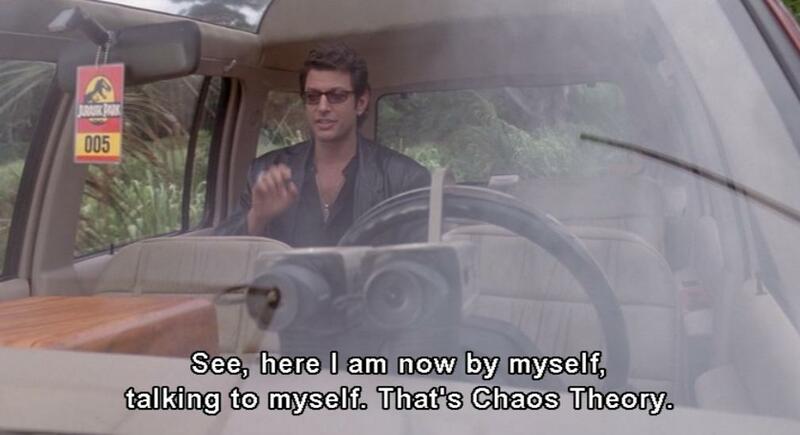 That's Chaos Theory.